Straddling the Mekong River within earshot of Laos, Nong Khai is the most popular travel destination in Thailand’s northeastern “Isaan” region. With magnificent landscapes, waterfalls and serene forest temples in the surrounding province, the capital offers a good mix of riverside scenery, affordable accommodation, eclectic food and one quirky yet awe-inspiring sculpture park. For many, Nong Khai is mainly viewed as a gateway to Vientiane, the capital of Laos, but it’s well worth a few days (or more) in its own right. 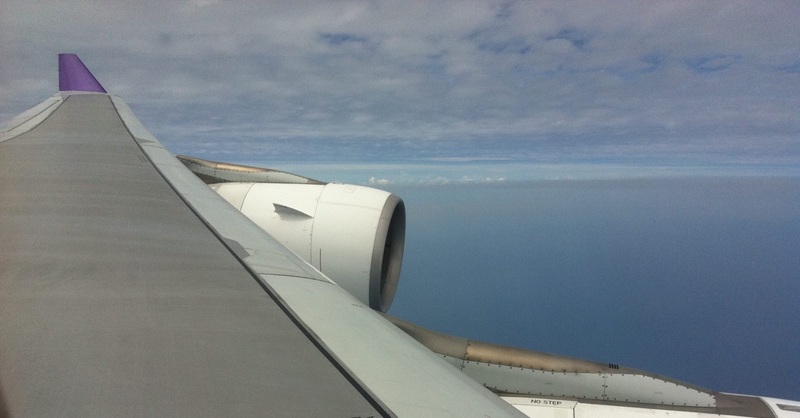 At the very least, it’s a great place to while away the last few days of your Thai visa before crossing the bridge for some Lao adventures — or simply to buy more time in Thailand. 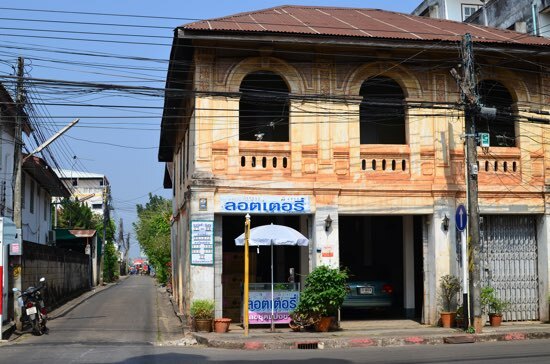 The Thai embassy over in Vientiane is one of the world’s busiest, and many expats linger in Nong Khai for months (or lifetimes) to enjoy the laid-back air and easy border runs. Head outside of the capital and you’ll pass through quaint riverside villages that seem to stretch on and on. The scenery is stunning in places, with rolling mountains tapering into vast fields of tobacco, papaya and water lilies that often extend to the river’s edge. A manageable motorbike or bus ride to the west of Nong Khai town, the village of Sangkhom boasts waterfalls, caves, mountaintop temples and no shortage of riverside relaxation. Great view poitn views on the way to Sangkhom. In the 1970s, this ongoing tale of two riverbanks entered a new chapter when thousands of Lao royalists and refugees fled to Nong Khai during the Communist takeover. Many Vietnamese also found their way to Nong Khai during and after the American War, and their presence is still noticeable in both the food and temple architecture. Nong Khai province is also home to a refugee camp where Hmong people who fought on the American side during the war have sought refuge from persecution (or worse) at the hands of the Lao government. In a move that drew much criticism, Thai authorities forcefully deported some 4,000 Hmong asylum-seekers in 2009, and the rudimentary camp no longer accepts new refugees. In spite of this often-tumultuous past, the current relationship between Thailand and Laos is largely focused on cooperation. It was through Nong Khai that the original Thai-Lao Friendship Bridge began shuttling foreign travellers into Laos in 1994, and this remains Laos’ most popular land entry point. 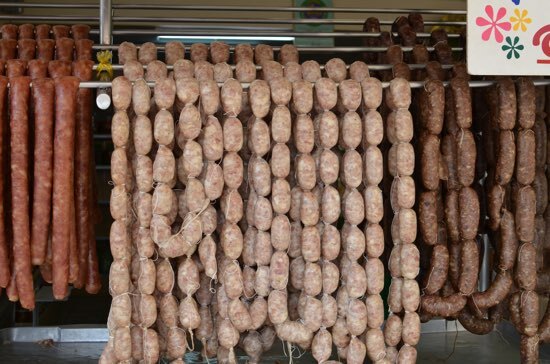 At Tha Sadej Market and Nong Khai pier, goods from both countries and beyond are briskly traded each day. If you’re in Nong Khai for the full moon that marks the end of the Buddhist rains retreat (usually in late October), don’t miss the annual Naga Fireball festival. Every year on this entrancing eve, soft-glowing balls of light mysteriously float over the Mekong. 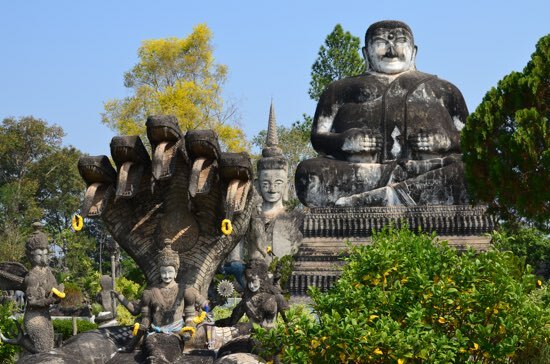 Locals believe them to be the work of mythic naga snakes, though skeptics say the “magic orbs” are nothing more than tracer fire from the Lao side, or less likely, some sort of flammable gas that occurs naturally in the marshy soil. Whatever the cause, elaborate festivities accompany the fireballs. Like the province, Nong Khai town is long and thin from east to west, with most of the guesthouses found along or near the river in the central to western part of town. Connected by dozens of narrow side streets, three main thoroughfares run east to west through town. Not far from the river, Mee Chai Road is a bustling affair with countless restaurants, cafes and a few places to stay. Running parallel to Mee Chai, one block to the south, Prajak Road is where you’ll find the bus terminal in a central location just west of Wat Pho Chai. Further south and again parallel to Prajak, Route 212 is a multi-lane highway that you’ll probably only cross if heading to Sala Kaew Ku in the town’s southeastern reaches. The riverside promenade and Tha Sadej market are located, more or less, in the centre of town, and these are major gathering points for locals and travellers, with a number of guesthouses also located here. Head east along the river and Rimkhong Road shoots you past several bars and more temples. Head west from the promenade at Nong Khai pier and Kaew Woravut Road leads to more guesthouses before passing directly under the Friendship Bridge after a few kilometres. 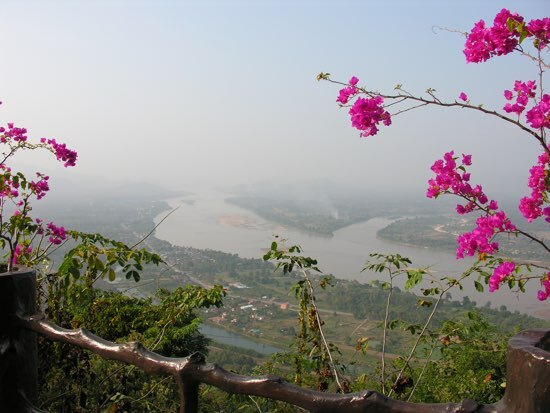 This picturesque road hugs the Mekong all the way to the town of Tha Bo, 30 kilometres to the west. From here, hop on Route 211 and you can ride alongside the river through Sri Chiang Mai and Sangkhom, eventually ending up in Loei province. Browse our independent reviews of places to stay in and around Nong Khai. Read up on where to eat on Nong Khai. Check out our listings of things to do in and around Nong Khai. 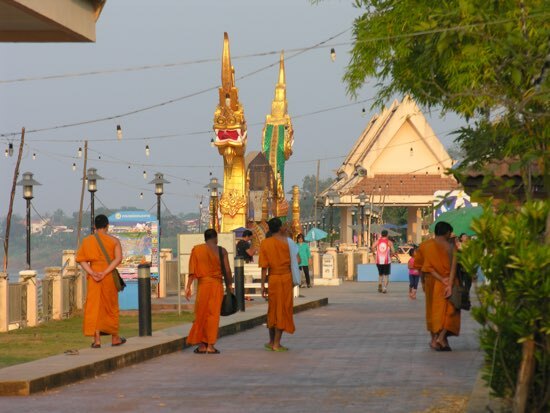 Read up on how to get to Nong Khai, or book your transport online with 12Go Asia. Planning on riding a scooter in Nong Khai? Please read this. Use the above map to find specific destinations in and around Nong Khai which are listed on Travelfish. Bed icons indicate a guesthouse, hostel or hotel, the knife and fork is an eatery or bar and the four-way circular thingy marks sights, attractions and other points of interest. Click on any icon for a short pop-up and a direct link to the page for that spot. If you are in the area, use the teardrop icon near the top left to show your position on the map (you'll need to allow position sharing for this last feature to work).